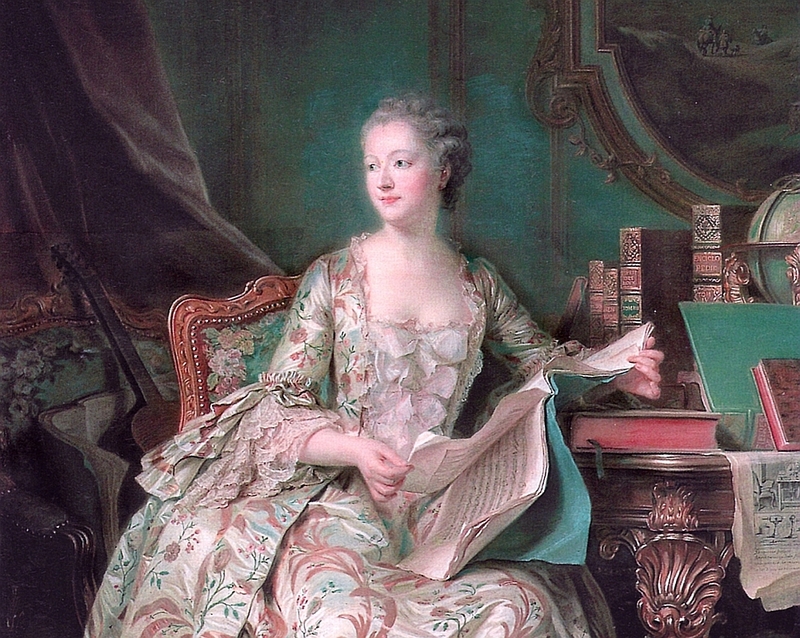 1721: Who was the Most Famous of all French Royal Mistresses? To be officially present at court, she required a title, which the king solved by buying the Marquisate of Pompadour. He bestowed upon her the estate, making her the Marquise de Pompadour. On this day, the woman who is probably the most famous of all French royal mistresses – the Marquise de Pompadour – was born. She was born in Paris under the name Jeanne Antoinette Poisson. Her last name “Poisson” is actually the French word for “fish” and because of that, and the fact that she was not of noble origin, she was later teased at the court. As a girl she was allegedly intelligent, beautiful and refined. She received a good education, which was funded by her guardian, who was by profession a tax collector (a lucrative profession). The same guardian married young Jeanne to his nephew Charles-Guillaume Le Normant d’Etiolles, when she was 19 years old. By marriage Jeanne received the title of Madame d’Étiolles, according to her husband’s surname. She became very popular in society and established her own salon where many dignitaries came, including the famous Voltaire. Even the king – Louis XV – whose mistress just recently died, heard of her. A group of courtiers promoted the acquaintance between Jeanne and the King. She was invited to a masked ball at the Palace of Versailles. Already the next month the king ordered an apartment to be arranged for her in Versailles, right below his own. To be officially present at court, she required a title, which the king solved by buying the Marquisate of Pompadour. He bestowed upon her the estate, making her the Marquise de Pompadour. Her influence was most evident in the fact that she participated in the French Enlightenment, protecting philosophers and scientists such as Voltaire, Diderot and d’Alembert. She had a great role in achieving the alliance between France and the Habsburg Monarchy, countries that had previously been sworn enemies for many years.